Human resources is launching a new initiative to reinforce the university’s commitment to providing a work environment free from discrimination and harassment and promoting a respectful workplace. As part of the effort, all faculty members, officers of administration, classified employees and graduate employees will be required to take an updated web-based workplace harassment and discrimination prevention training. All UO employees, with the exception of temporary and student employees, must complete the training by the end of spring term. New employees will take the training as part of their onboarding. Hourly employees will be paid for their time spent completing the training, and exempt employees can take the training during working hours. The initiative is designed to educate faculty and staff about how to recognize harassment and discrimination, know their reporting obligations and speak up to reinforce the institution’s values. The workplace harassment and discrimination prevention online training is available through MyTrack. The course has been added to each person’s development plan to record completion. Human resources will track completion rates and report them to units and departments. The web-based training is designed to provide consistent baseline information to large numbers of employees. “Like all web-based training, it will be most effective when coupled with other education, such as in-person trainings and facilitated discussions,” said Tiffany Ray, HR compliance and training officer. Additional in-person trainings are available to further educate the campus community. The Office of Investigations and Civil Rights Compliance is responsible for investigating and responding to incidents of prohibited discrimination and harassment, including those based on gender, race, age or any other protected class. 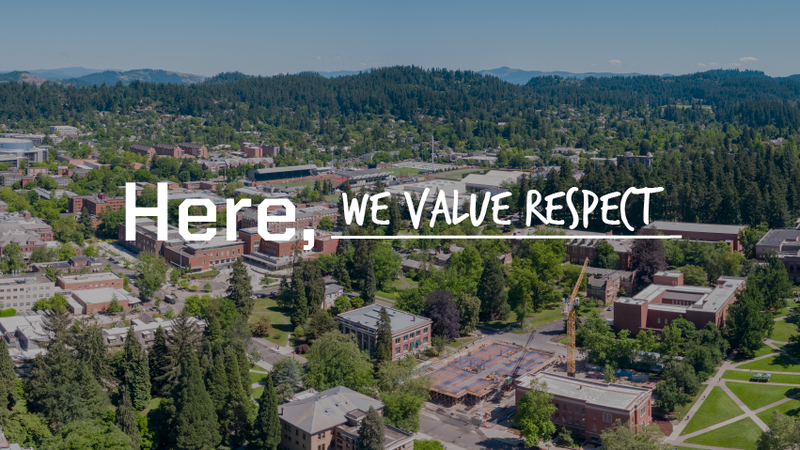 The office recently launched a new website, investigations.uoregon.edu, which provides important information about reporting processes and obligations. The new website combines information previously published on the Title IX and the former Office of Affirmative Action and Equal Opportunity websites and reflects the restructuring of the two offices last spring.